See more reviews of Denver Real Estate Agent Christopher Gibson here. See the review from the buyer of 1319 E 27th Ave below which was posted on Zillow. Scroll down to see Whittier Neighborhood homes for sale. See more information about the Whittier Neighborhood Row Home they bought below. Scroll down to see Whittier neighborhood homes for sale. 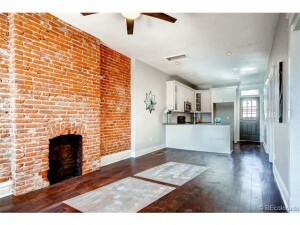 Stunning 2BR/1BA home is trendy and cool and just what you have been looking for! With high ceilings and a loft like feel – this home is perfect for a young couple who want to own but still want to be in the city. This elegantly finished home boasts a beautiful brick fireplace that brings old world charm and updated fixtures that bring a lavish feel. 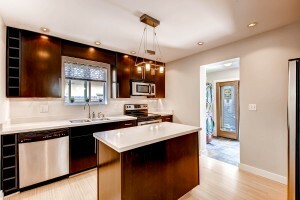 With a fresh open kitchen- you can host friends and family any time! Located in a super cute community that puts you close to shopping, great restaurants and much more! Hurry- this property will move quickly! 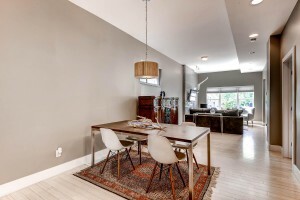 Whittier neighborhood homes for sale. 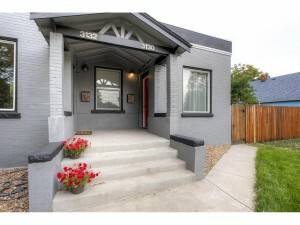 Denver Realtor Reviews: Katie T. & Travis M. completed the purchase of 3130 Race St in the Whittier Neighborhood, Denver on October 17,2013. Their Denver Realtor reviews of me as a Whittier neighborhood, Denver real estate agent can be viewed on Zillow and is copied and pasted below. Travis M. & Katie T. used one of my recommended Denver mortgage lenders, Jennifer Fairfield, for the purchase of 3130 Race St, Denver CO 80205. 3130 Race St is a half duplex in the northeast quadrant o the Whittier neighborhood. It has 2 nonconforming bedrooms, 1 bathroom, and a finished basement. It was built in 1910. 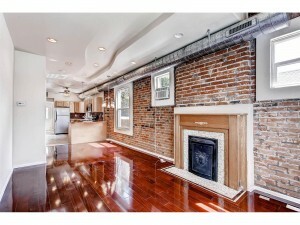 The main level has beautifully exposed brick. 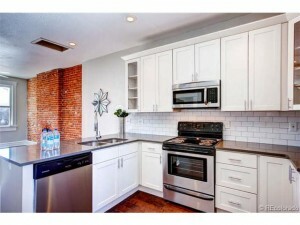 See all Whittier neighborhood Denver homes for sale here or scroll down. The Whittier neighborhood is located minutes from downtown Denver. Its borders are York and Downing Streets, to the East and West, and Martin Luther King Blvd and 23rd Avenue, to the North and South. 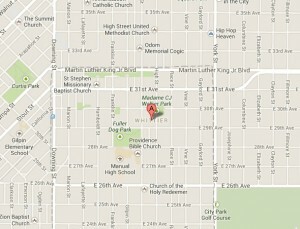 Learn more about the Whittier Neighborhood on their community web site at http://whittierneighborhood.org . 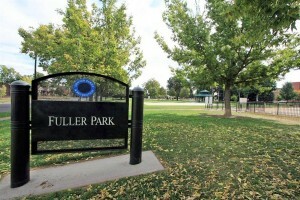 Fuller Park, located just north of Manual High School in the Whittier neighborhood, is Denver’s second oldest park. The park is home to a basketball court, playground, and an off-leash dog park. The dog park has become a very popular place to get to know others in the community. 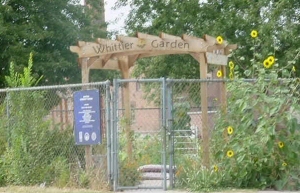 The Whittier neighborhood Community Garden is located at 24th & Lafayette, next to Whittier Elementary in the Whittier neighborhood. The garden has been in existence since 1978 and is the location for annual community events like a barbeque and ice cream social. 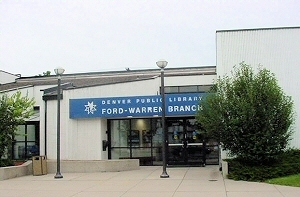 The Ford-Warren branch of the Denver Public Library is a popular place in the Whittier neighborhood. The branch is named after two people, Dr. Justina L. Ford and Bishop Henry White Warren. Ford was Colorado’s first African-American female physician. Use this resource page to further evaluate the Whittier Neighborhood in Denver: http://denverhomesales.info/neighborhood-evaluation/ . Find information about the Whittier Registered Neighborhood Organization on DenverGov.Org. 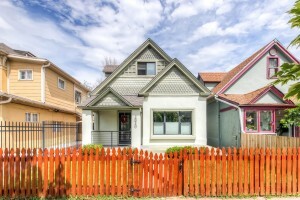 See all Whittier Neighborhood Denver Homes For Sale below.